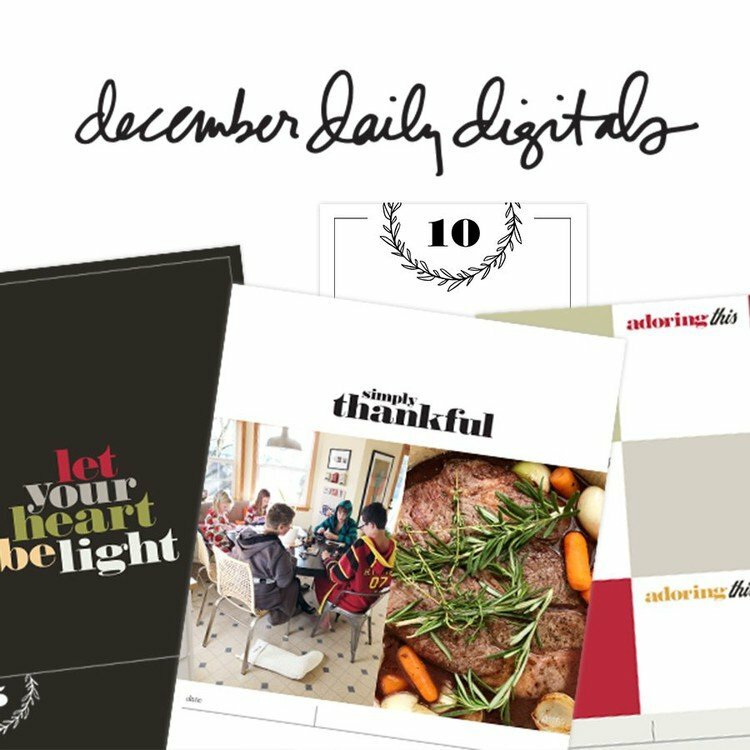 Welcome to December Daily® 2015 | Day 13. Today I skipped the words and went with packaging and bits of paper collected around my house. It's a fun way to use the 2 inch x 2 inch pockets that tells it's own story via the images and words on the pieces of paper and packaging. This is a good day to remind you again that this album is not measured by any single day or any single story. It's the sum of all of them together that make it meaningful. Remember that I ended up moving the Day 12 to a full-page and moved Day 13 to the 12-pocket page. One of my favorite things about this idea is looking for things to include. Consider receipts, packaging, things you read (like a devotional), tape (Amazon Prime tape), something you've been working on (I often look in my waste basket and/or recycling in my office to see if there's something to include), envelopes, magazines, catalogs, handwritten notes, etc. In the video I also mention it would be fun to keep little scraps of wrapping paper from presents received. I might end up adding that at the end of the album. I'd love to have you share a link to your Day 13 album pages below. Please link directly to your post vs. a general blog link. Totally going to use that wrapping paper in the 2x2 page idea! I really like this idea. I'll have to look around for some scraps! What a great idea! And the looking in the trash tip to see what you've been up to is both hilarious and totally helpful! I really like this idea. I don't always get a picture taken or have a story to tell. But I have already collected a group of papers! Love this! I am doing 4x6 album. Think I'll cut up a 2x2 page protector I have left over from WITL. I love these 12 pocket pages. For the last few years at the back of this album i add in an extra few pages with scrap pieces of all the different wrapping papers from gifts my family recieve alone with the gift tags. Its great to see how the paper changes from year to year. Perfect, I needed this post today! 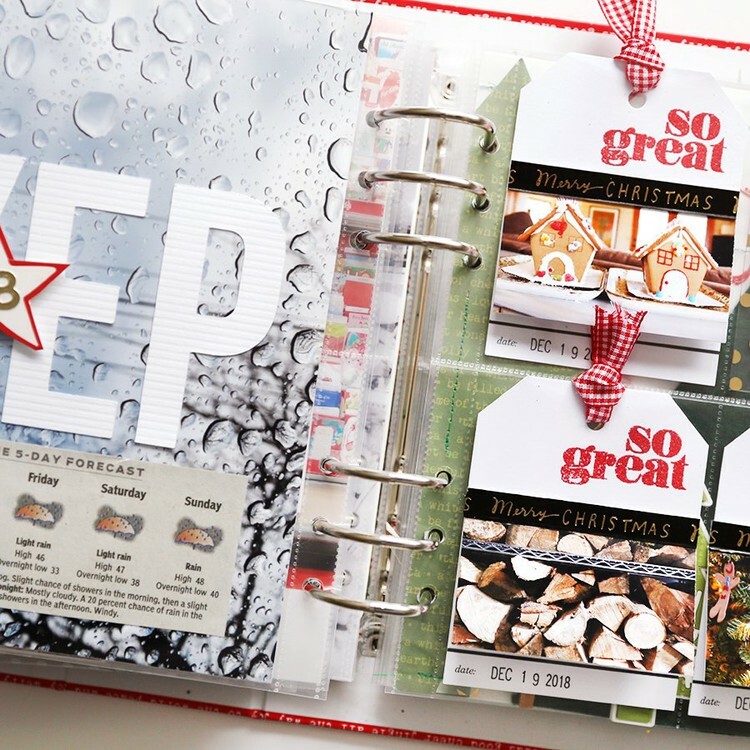 Love love this idea and especially adding pieces of wrapping paper! Always an inspiration Ali!